All online services for Pro Evolution Soccer 2012 will be terminated on Tuesday 28th January, it has been announced. 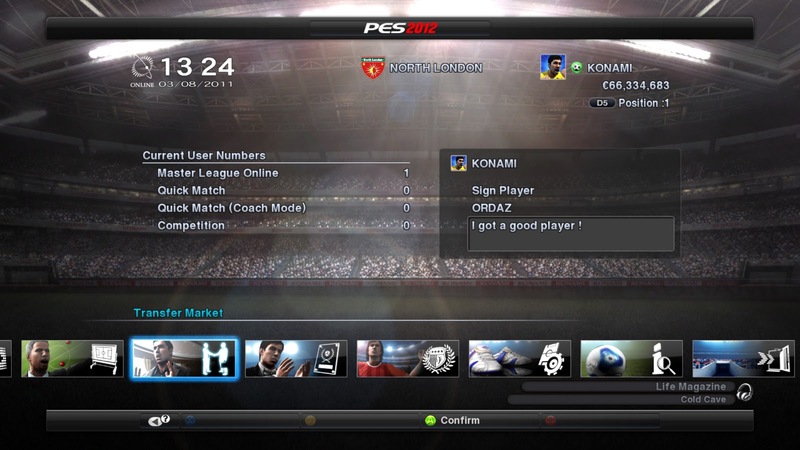 Publishing a statement on the official PES Online Portal, Konami have confirmed they have decided to pull the plug; two and a half years after the game's launch way back in October 2011. "The online service for Pro Evolution Soccer 2012 will be terminated on 28/1/2014 06:00(UTC). We would like to thank you for your loyal support. We would also like to thank you for your continued support of the PES series titles." As someone who spent countless nights playing online with (and against) friends, sometimes rewarding wins/goals/throw-ins with Jägerbombs and Jack Daniels, I can't deny today's news has hurt me a little. To everyone who made PES 2012 online what it was (no, not you Van Der Mirch! ), thanks for the memories.